B+B Thermo-Technik thermocouple connectors are universally compatible and ideal for when you are measuring and controlling temperatures for all your portable and stationary applications. 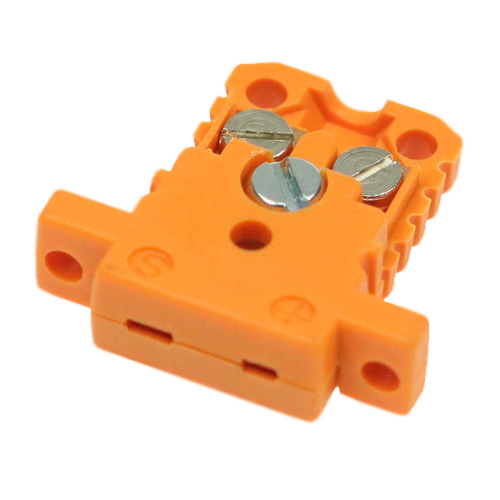 All connector contacts are made from solid high quality thermocouple material. This prevents errors in measurement when the ambient temperature fluctuates and stops new thermocouples forming at the junction. These thermocouple connectors are also protected against polarity reversal. B+B has been manufacturing and selling connectors and their accessories for over 30 years, and offers types: K, N, J, T, E, R, S, B and U. Are you unable to find what you actually need ? Please ask us - we will be pleased to help you. You will also find a detailed selection of our thermocouple connectors and accessories in our online catalogue under downloads.